Joseph W. McMoneagle was born January 10, 1946, in Miami, Florida. He voluntarily joined the U.S. Army and was recruited by the Army Security Agency for classified assignments. He spent mid-1964 through 1978 on various overseas missions within the countries of The Bahamas, South Vietnam, Germany, Italy, Thailand, and others, eventually being assigned to the Headquarters of U.S. Army Intelligence and Security Command (INSCOM) in Arlington, Virginia. 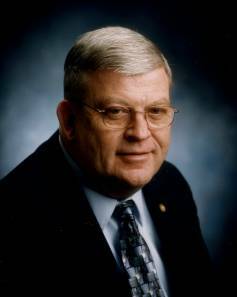 Following his retirement from the Army in 1984, he maintained his association with the Star Gate program through his own company, Intuitive Intelligence Applications, working as a remote viewing consultant to the Cognitive Sciences Laboratories at SRI-International and Science Applications International Corporation until the program was formally closed in November of 1995. Joe is currently a Research Associate with the Laboratories for Fundamental Research in Palo Alto, where he continues to research and explore for more effective answers to questions concerning the applications of remote viewing, its underlying mechanisms, and within the field of the paranormal. He has successfully demonstrated remote viewing within acceptable protocols, live and on camera, in numerous network broadcasts shown in America and England; the most notable being, “Put To The Test” an ABC Special, and for the “Reader’s Digest Mysteries of the Unexplained, Powers of the Paranormal,” video series. He is now acknowledged as one of the best remote viewers in the field.